Gift Certificates are available for purchase which makes a great gift for Christmas, Birthdays and any special occasion! Give the Gift of Protection! Midland Firearms Training LLC conducts a wide variety of firearm training for both businesses and individuals. 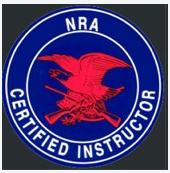 John Roth is an NRA certified instructor who has taught Firearms Safety, Pistol, Rifle and Shotgun shooting for many years. The classes are conducted at various times and dates. Our classes are conducted in a clean, well-lit, comfortable conference room. I will provide the firearms and ammunition. You do not need a FOID to take the class. No experience is necessary. First time students are welcome. Does the Midland Firearms give credit for concealed carry permits from other states?